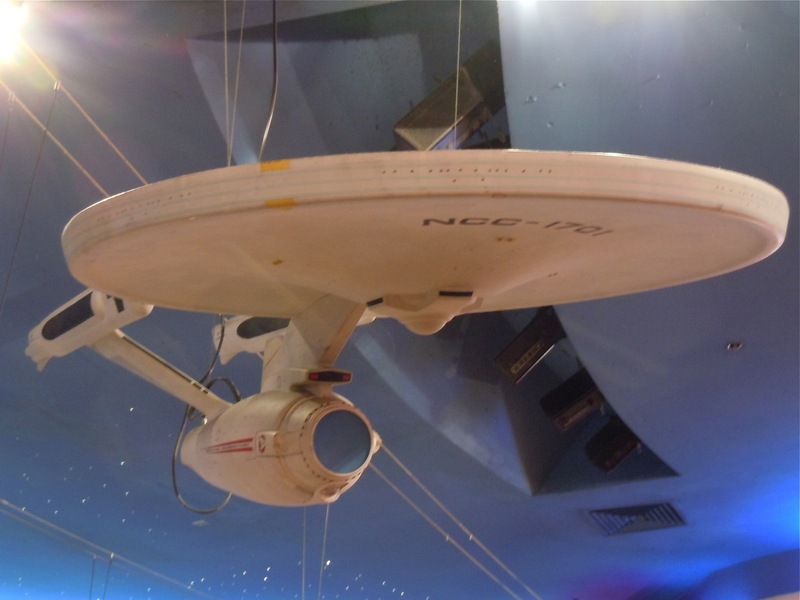 When Kirk, Spock and the crew of the Starship Enterprise made the leap from television to the big screen in 1979's Star Trek: The Motion Picture, this model of the iconic USS Enterprise (NCC-1701) was used to help create the special effects in the sci-fi classic. 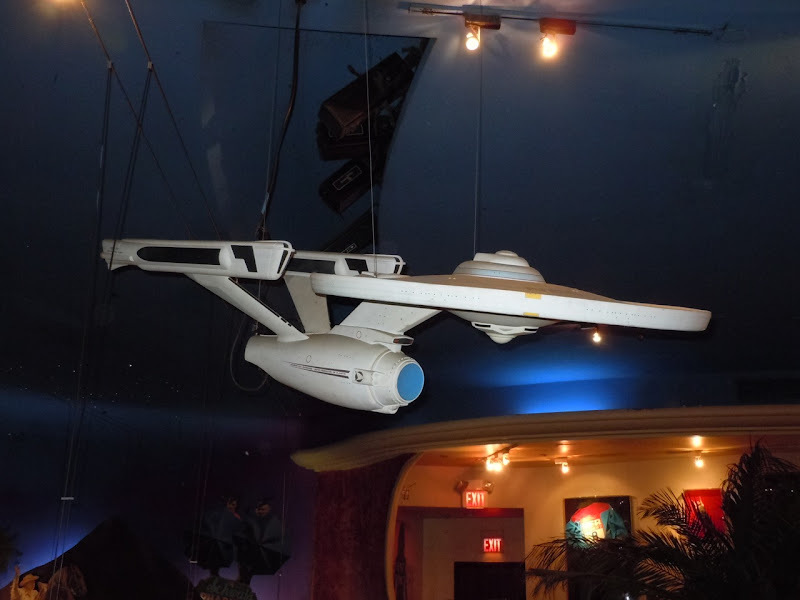 This model was photographed hanging from the ceiling of the Planet Hollywood Cafe in Las Vegas on April 7, 2011. 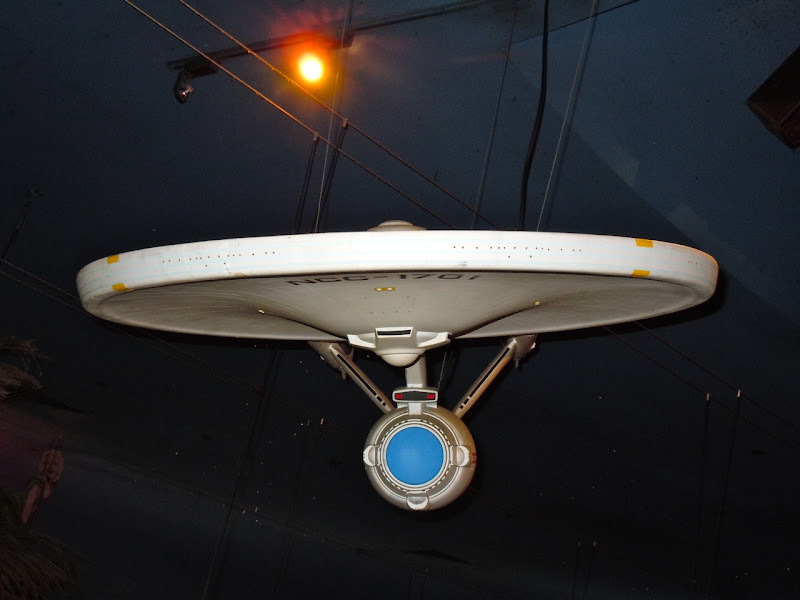 If you like this classic spaceship and you're a fan of Star Trek, check out these redesigned versions of the Enterprise for the new 2009 movie. 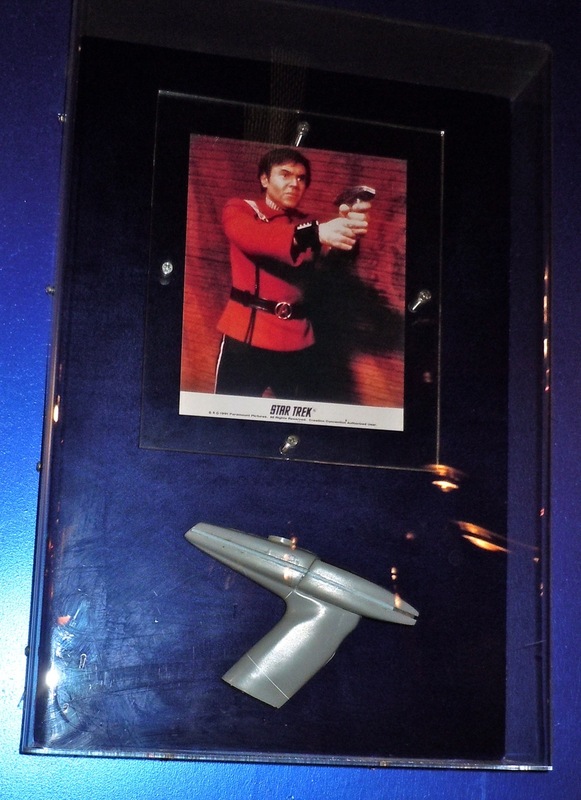 In addition to the cool model of the USS Enterprise, there was also a phaser pistol prop used in the movie sequel (and some would argue the best Star Trek movie), The Wrath of Khan. If you like this futuristic prop, be sure to check out more original costumes and props from J.J. Abrams Star Trek movie reboot. 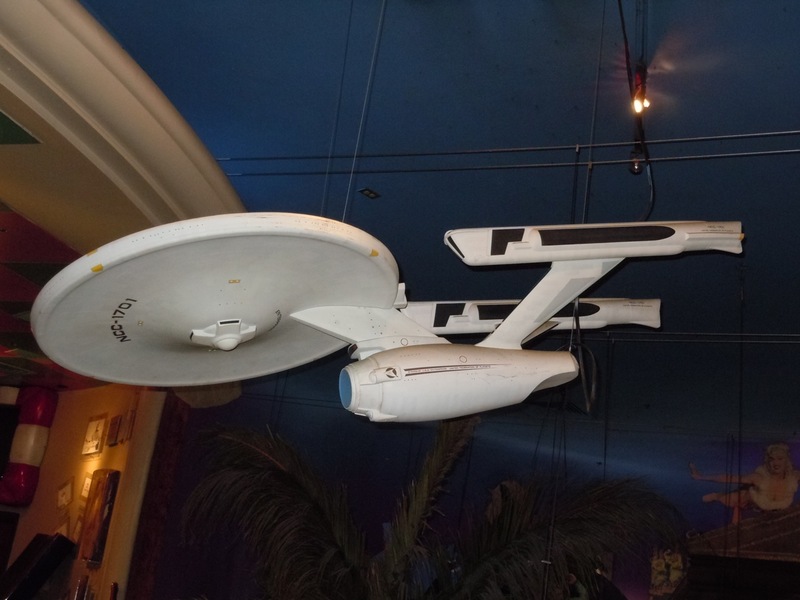 Sorry, but that's not the actual model used in Star Trek the Motion Picture. I'm not sure what it is, the details on the warp engines aren't even right. Another anonymouse but the above comment is correct. 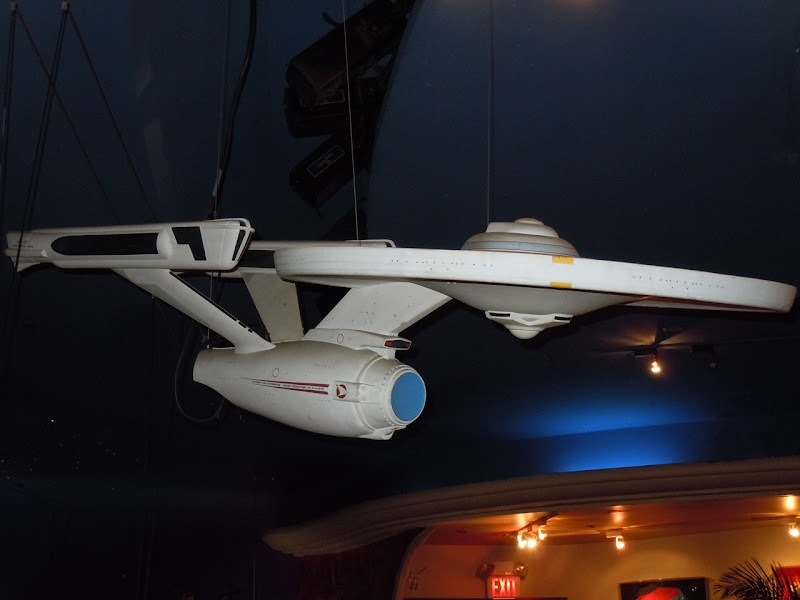 The same exact in accurate model is on display at the Planet Holleywood in New York. The model is a combination of the refit design with elements of the concept model for Star Teek Phase II. They appear to be mass produced for PH. 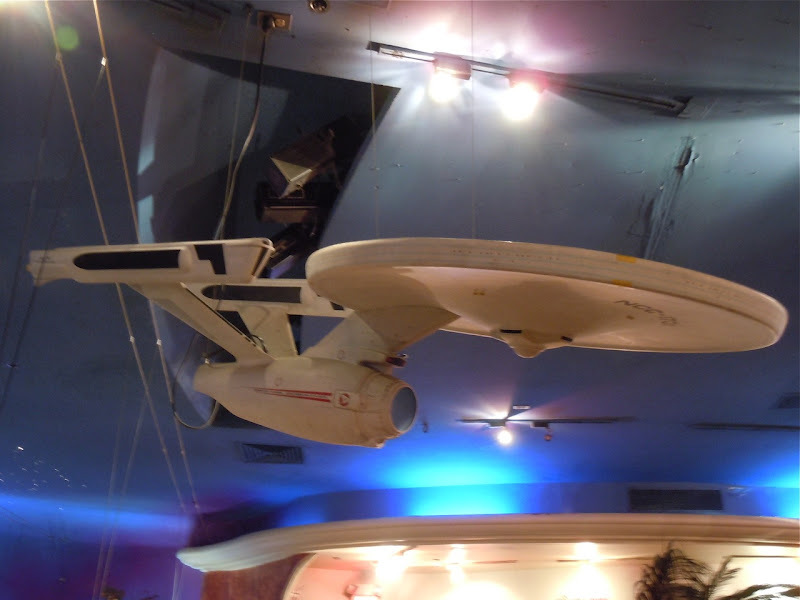 That is a model of the "Star Trek Phase 2 Enterprise" from the proposed second television series in the mid 70s. 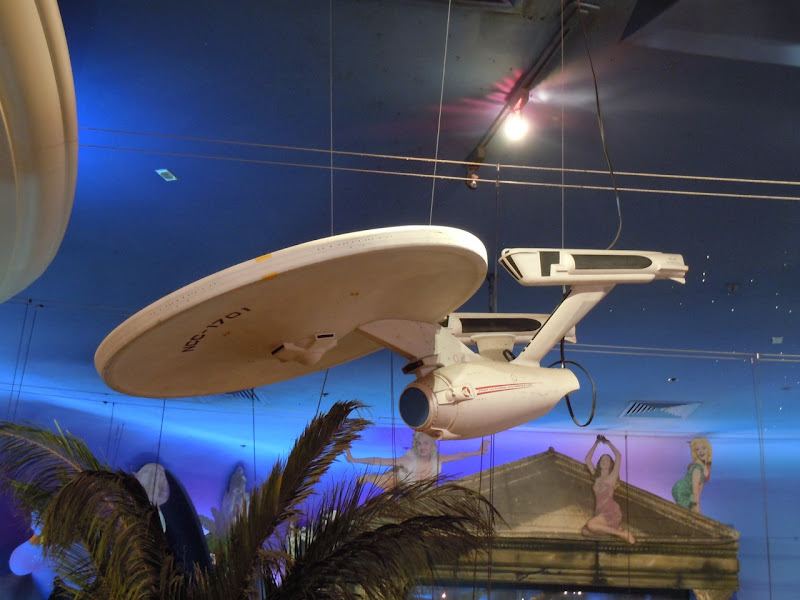 Like in the Motion Picture it was to be the Enterprise after an extensive refit. 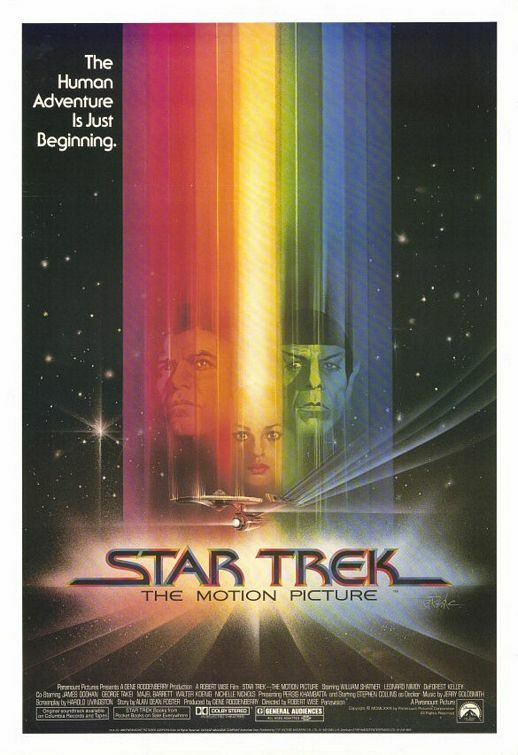 The show was actually slated to launch Paramount's own network which wouldn't happen until the 1990s with the premier of Star Trek Voyager. 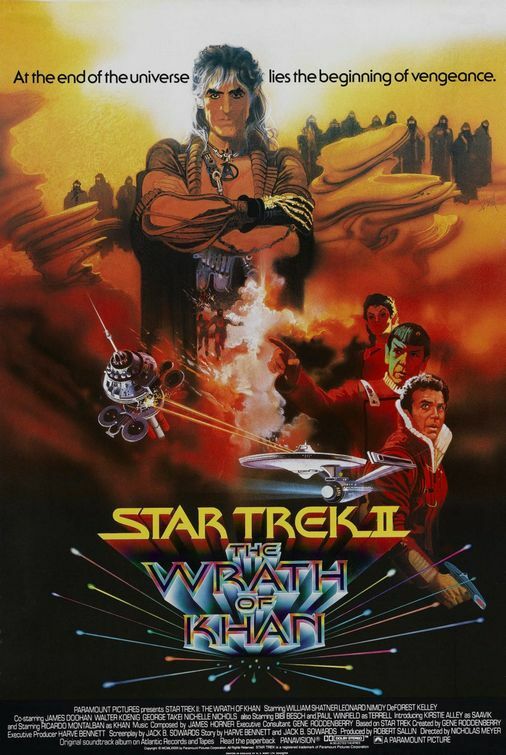 After seeing the success of Star Wars, Paramount decided to halt the new television series and invest a great deal more into it to make a feature film. 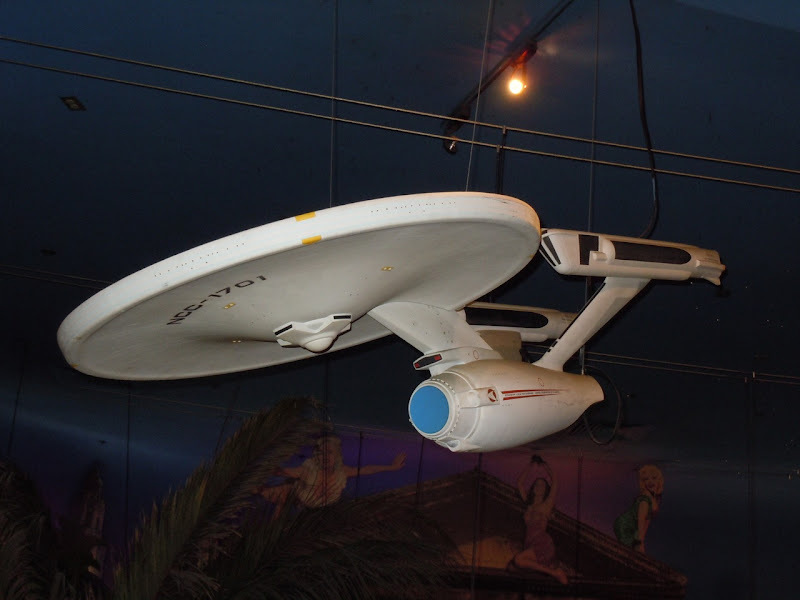 The original model of the refit Enterprise was much closer to the original television series than the film version but having been built for television, it lacked the detail and sense of mass that would be needed on the big screen. I don't believe more than one large filming miniature for Phase 2 was ever completed, so if several of these are around they may be fiberglass copies. 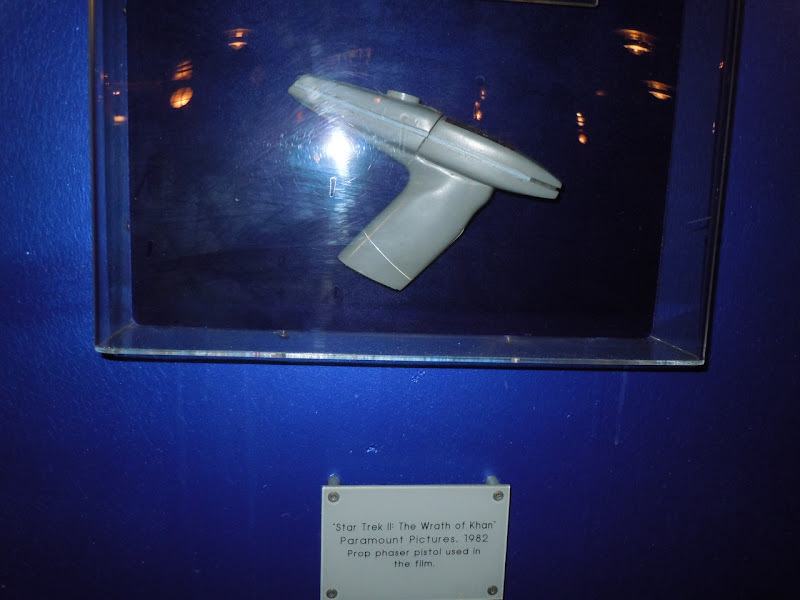 Though I find it odd they would do that..
An interesting note about both the Phase 2 refit Enterprise and The Motion Picture version is rage even though it represented a more advanced and updated ship, most of the design elements including the swept back engine pylons, rectangular nacelles and dorsal affixed torpedo structure had been some of designer Matt Jeffries original idea concepts before the final design of the ship that was seen in the original series was decided upon. Much of which may have been because it was easier and less expensive to construct and less fragile to handle.